Wednesday, June 8, 2016 (Halifax, NS) – The Halifax Regional Municipality is advising residents that beginning on Thursday, June 9, and continuing until Friday, June 24, road construction will take place on Glendale Drive, from the Beaver Bank Road to Rankin Drive. Crews will be on-site each weekday during the hours of 8 a.m. to 6 p.m.
During this work there will be lane drops in place and occasional stop and go traffic. Motorists should expect delays in the area and are asked to use alternative routes, if possible. 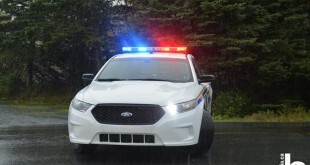 RCMP investigate accidental discharge of firearm, St. Croix, N.S.